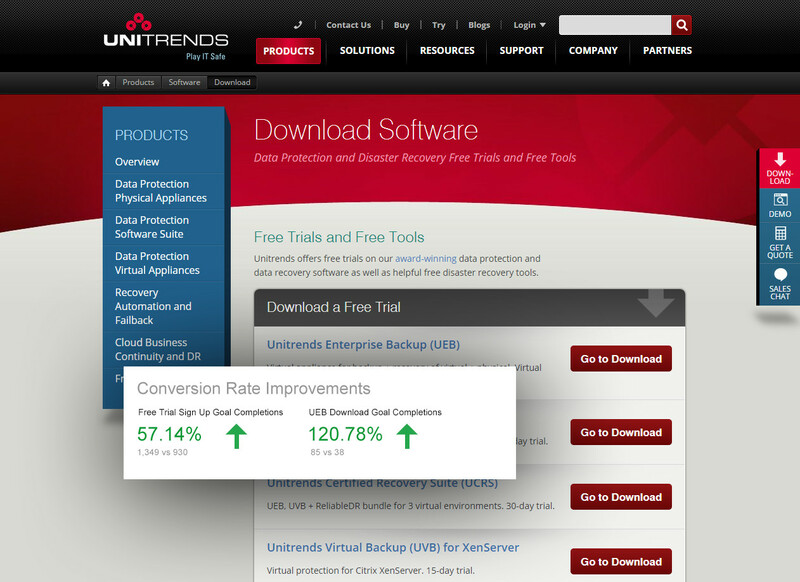 Competing in a very crowded market, Unitrends needed a very aggressive marketing site that would work hard for them to increase lead generation and hard conversions. Through consulting with their marketing team on an ambitous program of enhancements and refinements, we increased web lead generation by 60% and achieved 120% more trial product downloads. The gains were realized by defining a set of key performance indicators (KPI's) and constantly measuring and testing enhancements against them. By continuously improving the user experience, visual design, calls to action and the content available to users, we were able to support tremendous growth through the site.